Avroto 2814 short shaft seems to be a good motor, but haven't been in stock for a while. I’ve been looking for a good motor for my heavy lift Y6 hexacopter. 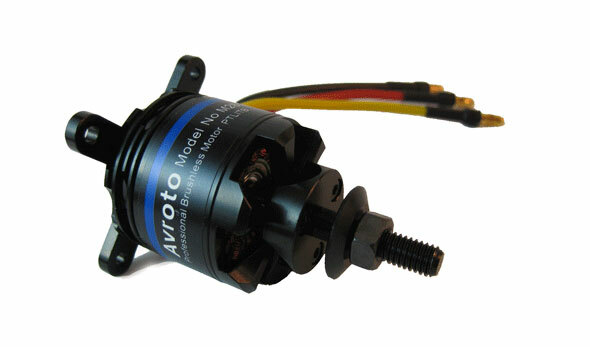 One motor that got my attantion was the Avroto 2814-11 short shaft 770kv. The short shaft makes it easier to mount the coaxial motors in the Y6 frame. When I first found the Avroto 2814-11 at Monto RC it was out of stock. Then they said it would be in stock again late May. And now (late May) it seems to be even more delayed and is now announced late June. I must probably find an alternative motor to my multicopter, because I cannot wait longer. Pulsos motors seem to be high quality and as I have understood are Pulso the same motors that are also branded as Mikrokopter motors. The Pulso motors costs less than the Mikrokopter motors, but I still think they are a bit too expensive. I have also found out that a motor called Tiger Motor 2814 kv1000 is from the same manufacturer as Avroto. I have googled some photos too and they are actually very similar. I haven’t found any place to buy them conveniently though, only wholesale and such. There are also two budget alternatives that I think will be great multicopter motors. RC-timer BC3530 and BC3536. They don’t have that cool black finish, but they look solid and durable. They have 5mm shaft and they also have short shafts which I want for the coaxial motor mount. I will probably go for the RC-timer motors and see what they perform. Maybe I will write a short review here too. Hopefully they will be good enough, otherwise I will just uppgrate to the Avroto 2814-11 short shaft when they are back instock. There is cobra motor and aeolian motor but avroto seems to be better…. For the controller i don t know truginy push 40amp or maytech30 and you??? I don’t know which ESC that would work best. I have previously used the Turnigy Plush 18A for my small multicopter and is happy with that one. I would probably go for a Turnigy Plush, 30 or 40A with the Avroto. have you decided what esc to use? i am curious to this also. I’m not sure if 30A is the best ESC, but that’s the one I ordered. I will post more info when I get it. I have received the RC-timer motors though, they look really solid. i have use rctimer motors also. no problems so far. i haven’t tried any of the Turnigy motors since they are always out of stock. rctigermotor have many motor for multicopter.super quantity,welcome the distributor to contact us. Somebody tell me what esc needed.Looks like good add and poor motors. had major problems with the rctimer 3536 motors, prop mounts not fitting properly & bad vibrations… not good. I have six Avroto 2814 motors for my hexa and also tested them, they run very nice with high efficiency, love them! !